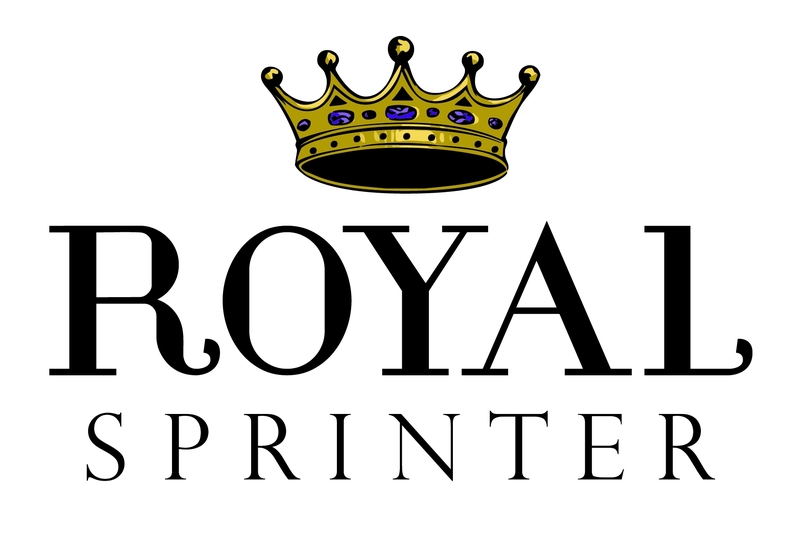 Royal Sprinter (now Royal Traveler) came to us in the early stages of their budding new concept of providing personalized coaches to and from D.C. and New York City. 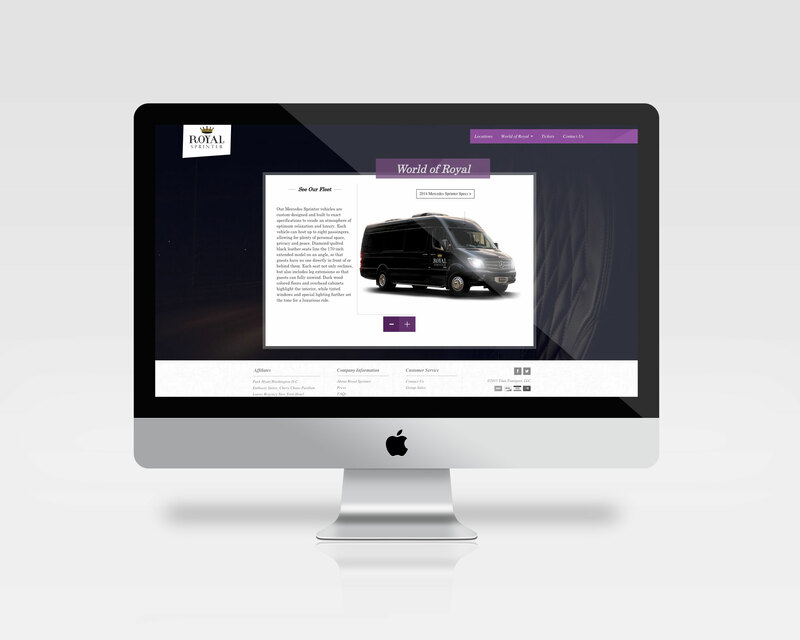 They needed an identity and a website to prove that identity as well as allow customers to book their travel. We first created a series of logo concepts based on the ideals the client wanted to convey. 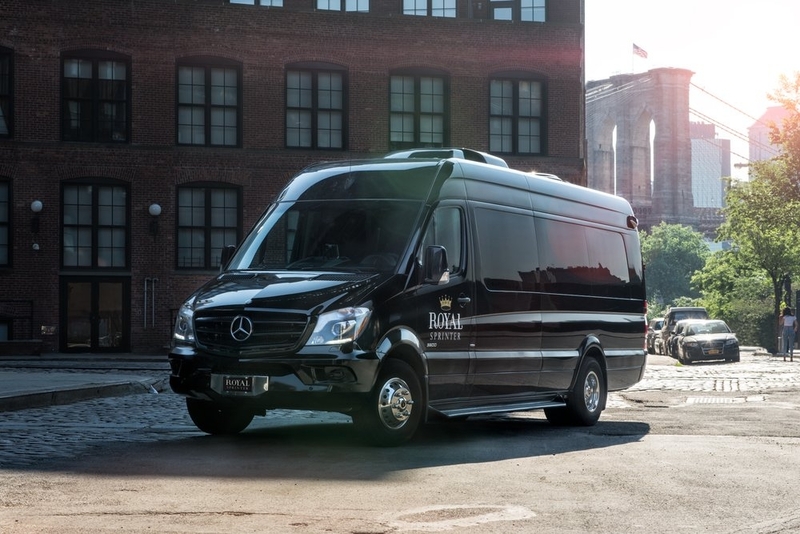 This would soon become the face of their company and the first thing customers will see as one of the companies three highly customized Mercedes Sprinters pulls up to greet them. 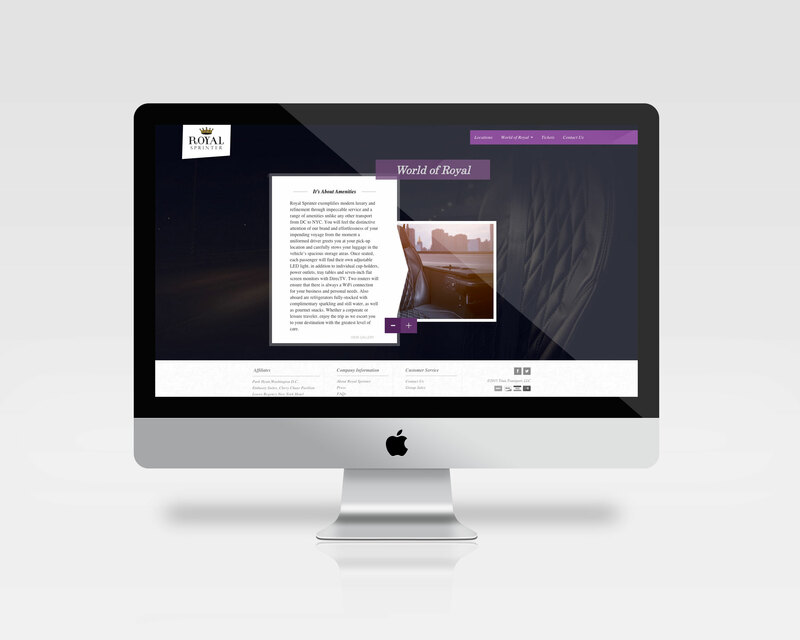 Once the logo had been established we then came up with a full design guide, color guides, and website mocks to provide a seamless brand identity across all platforms. 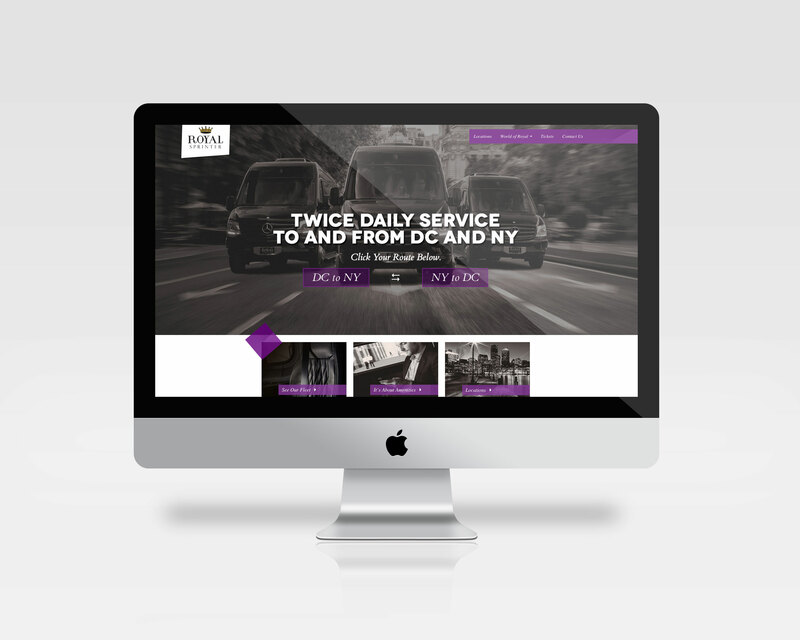 With the help of photographer David Burnett, we were able to provide the client with top notch branding just in time for their fleet of coaches to launch in 2013.